Karen, give me Iron Dolls, the most ADVANCED Female Bodybuilding Downloadable eBook on the market. You are about to download "ron Dolls eBook. No physical products will be shipped. I'm ready to take my body to a new level. I'm ready to build a muscular, yet feminine body. I understand that building muscle is a system that I must follow accordingly. 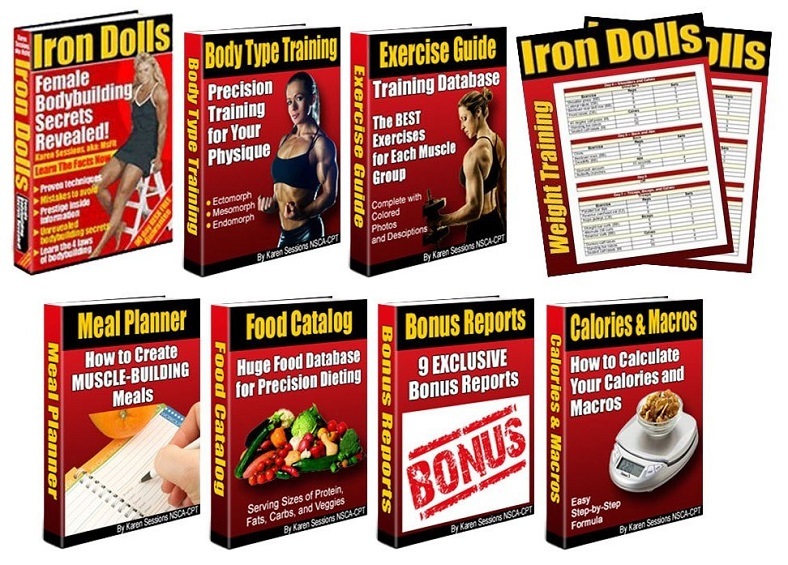 I understand that in just minutes I will be downloading (no physical produce will be delivered) Iron Dolls, Body Type Training System, Calories & Macros, Exercise Guide, Food Catalog, Meal Planner, Customized Training, and 9 Bonus Reports.